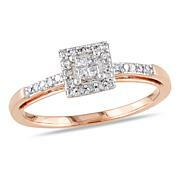 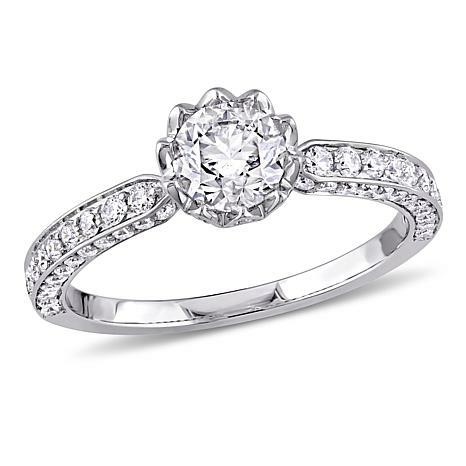 For an engagement ring with sleek, sophisticated style, you can't go wrong with this classic, round-cut diamond ring. 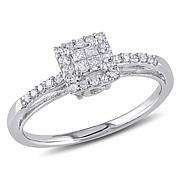 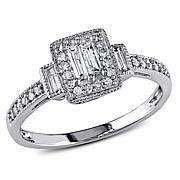 It features a round-cut, 0.7ct diamond solitaire at center of a crown-like white gold gallery. 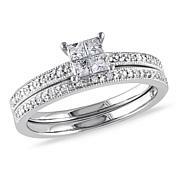 Its square-edged band is lined shoulders and sides with smaller stones, for a sparkling masterpiece worthy of the most romantic relationship!